Keep calling them underdogs, they'll just keep biting back. 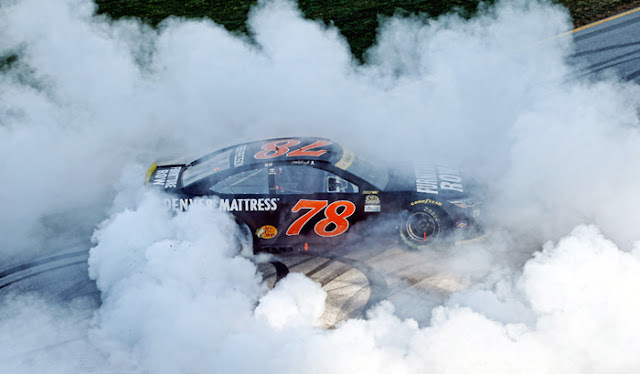 Martin Truex Jr. and the single car team of Furniture Row Racing punched their tickets into the "Round of 12" with a win in Sunday's Chase opener at Chicagoland. “What can I say? 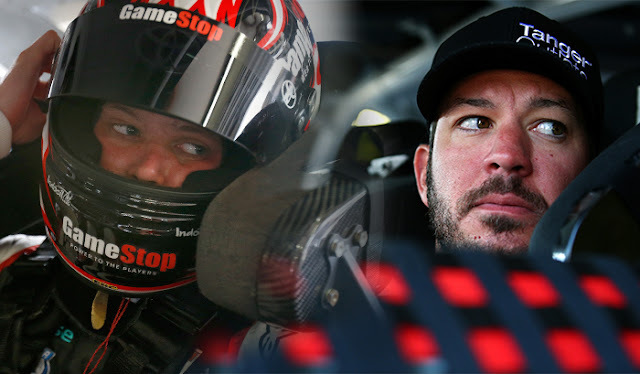 There are so many people who are responsible for this and I’m glad I get to drive this 78 with everybody on this team," said Truex Jr. "This is how we want to start off. This feels awesome.” With nine races to go in 2016, Truex Jr.'s three wins this season matches his career total through 2015. Before Truex Jr. maneuvered his way to the checkered flag, it looked like rookie Chase Elliott was in line to secure the first win of his young career. While the No. 78 beat the 24 off pit road during a late caution and again the ensuing restart, Elliott still finished third in his first taste of Chase action and seems poised to build on that success. "Expect it, nothing is yours until it’s over," said Elliott. "We see more cautions come out at the end of these races than we do not. That is just part of it, you’ve got to expect it and be able to embrace it and move forward. I feel like we did a good job controlling the things that we could control today." "There were other opportunities that were out there," said Truex in Victory Lane on Sunday. Celebrating his fourth win with Furniture Row Racing, Truex Jr. remembered contract talks with team officials last September. However, Truex was committed to Barney Visser and company and ultimately took less and returned to the Denver-based race team on a one year extension. "I believe this is the best team I’ve ever had. This is my best opportunity to win races, and we’ve proven that. It’s my best opportunity...so I made the commitment to Barney we were going to do it.” Fast forward a few months, and Truex has been renewed through 2018...AND they're expanding. Car number two? None othat than Erik Jones, the winner of Saturday's Drive for Safety 300 XFINITY Series race. The future is looking bright - and filled with burnouts - in Colorado. 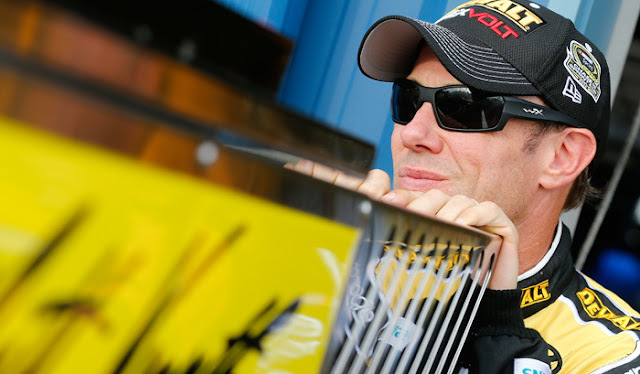 Matt Kenseth has owned New Hampshire Motor Speedway, sweeping the last two races in Loudon including the 2015 Chase race. 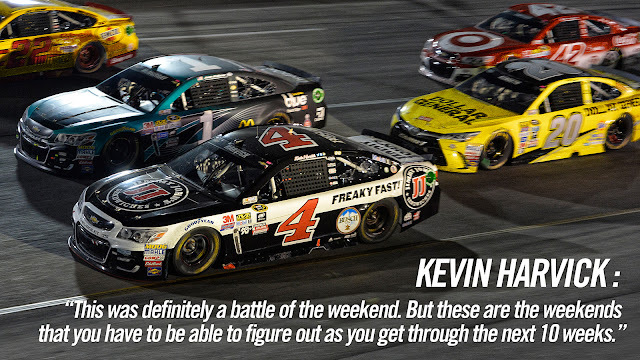 Kevin Harvick has a win at all remaining Chase tracks except Texas, and bossman Tony Stewart boasts the same. Carl Edwards has as many Chase wins as former champions Kurt Busch and Brad Keselowski combined. With just one race down, things are far from decided. Fox Sports' Tim Durr takes a look at how drivers have fared at the nine remaining tracks on the schedule. In just his third season in the Sprint Cup Series, Austin Dillon and the famed No. 3 are in championship contention. 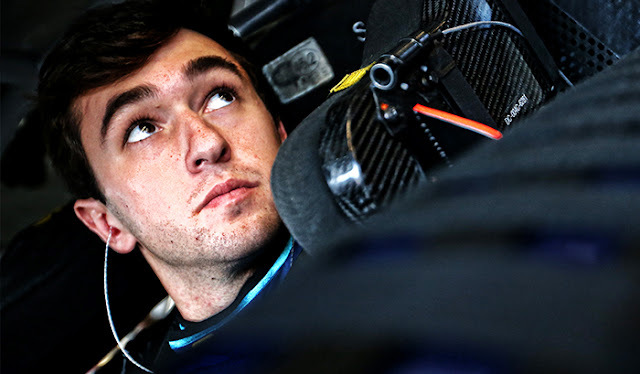 Driving for his Pop Pop Richard Childress, Austin hopes to bring another championship back to his family-owned race team in what will be his first Chase for the Sprint Cup. 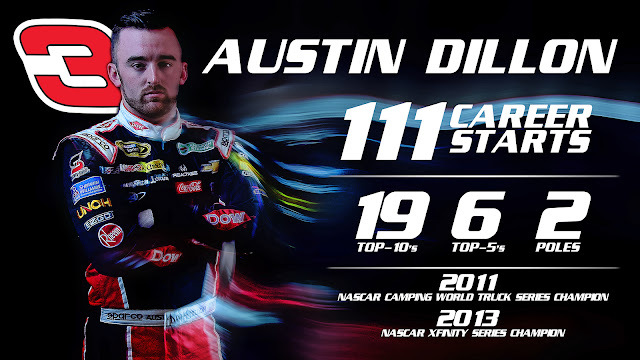 Dillon has enjoyed a breakout campaign in his 2016 season, setting new career highs in both Top-10 and Top-5 finishes. Regardless, the No. 3 driver was feeling pressure of defending his Chase position heading into the regular season finale at Richmond, but delivered with a 13th place finish and his first Chase berth. With an RCR team that has run well on both short tracks and super speedways this season, Dillon is poised to make some postseason noise in his first trip to the Chase. Regardless, NASCAR fans across the country are sure glad to see the No. 3 back in the playoff mix. There’s been a lot of talk around Chase Elliott’s rookie season. First off, he is the son of NASCAR legend and Hall Famer, Bill Elliott. Second, he is replacing a legend in the No. 24, Jeff Gordon. 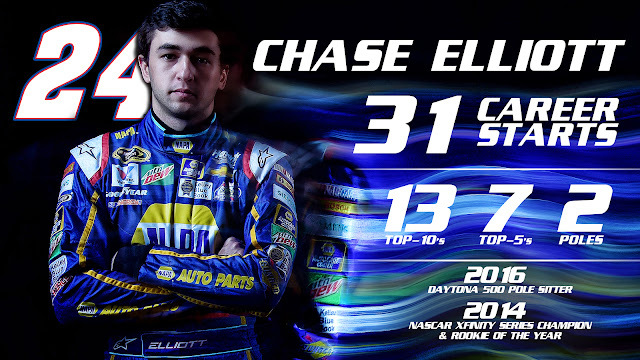 Even with all the talk, Chase has managed to make a name for himself. Just one of two rookies making the Chase this year, the new driver of the ‘ole 2-4 is hoping to get the siren fired up at the Dawsonville Pool Room during his postseason run. The popular preseason "Rookie of the Year" pick, Elliott didn't disappoint in his first full season behind the wheel of a Cup car. On a team loaded with the likes of Dale Earnhardt Junior, six-time champion Jimmie Johnson and six-time Chase competitor Kasey Kahne - it was Elliott who led all Hendrick drivers in Top-10 finishes (including a streak of six straight over the Spring). Despite some late Summer blues, Elliott seems to be regaining his form at the right time. 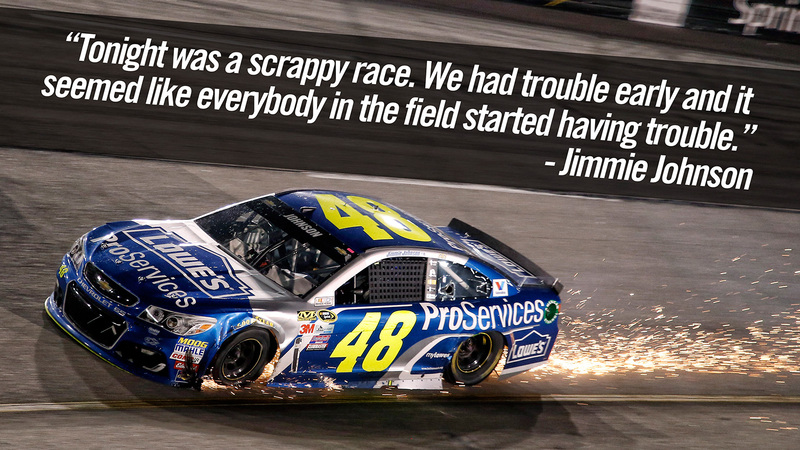 Heading into Richmond he'd posted Top-10 finishes in three consecutive races, and managed to come back from needing some early repairs to defend his Chase position at Richmond. No one thought Chris Buescher would be the first Rookie of the Year candidate to secure a win, or that he would make the Chase for the NASCAR Sprint Cup. Chris, driver of the No. 34 machine for Front Row Motorsports, has beat the odds. Now, he is onto the Chase where the expectations are higher and the road is a little tougher. Buescher shocked the NASCAR world with his victory in a weather-impacted Pocono race back in August, and has since raced his way into a Chase berth. 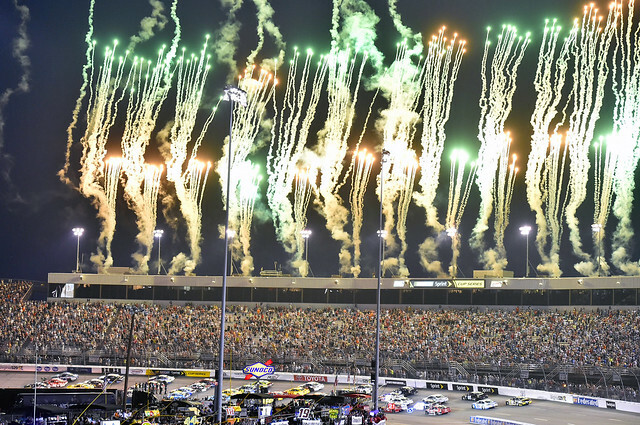 Coming into the season finale at Richmond, Buescher did well to avoid "the big one" on lap 364, and his 24th-place finish secured his spot in the Top-30 and there in the Chase. While it's been an up and down season for the No. 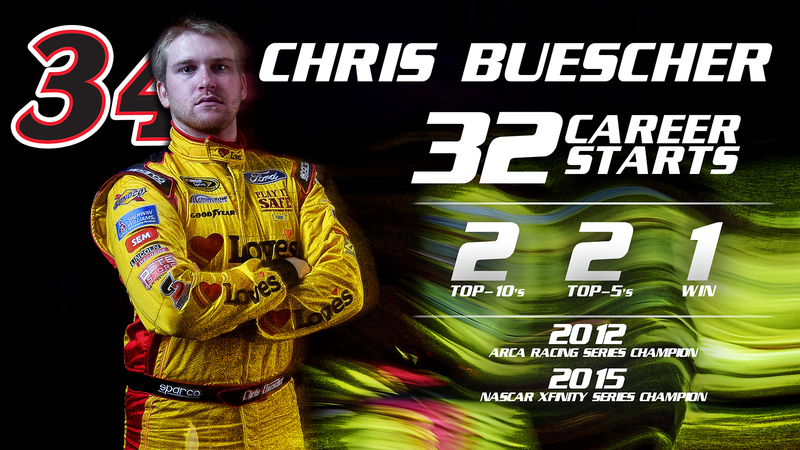 34 driver, he has the championship pedigree that bodes well for the Chase pressure. The reigning XFINITY Series champion also has an ARCA Racing Series crown on his resume. 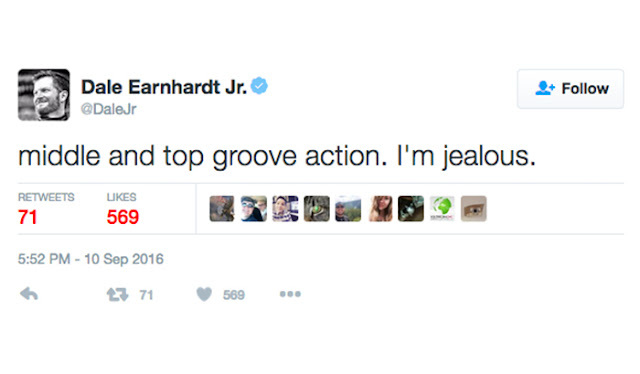 Since he couldn't actually be on the track at Richmond, Dale Earnhardt Jr. chose to spend his Saturday night live-tweeting the Federated Auto Parts 400 action. From jealousy pangs to color commentary to driver insights and more - Junior's Twitter game was on point. 26 races down. 10 to go. 16 drivers in the hunt. After a spectacular regular season finale at Richmond, the field is down to Ready. Set. Chase. beginning this weekend in Chicagoland. We've got the entire Joe Gibbs Racing machine gunning for a repeat title, four newcomers, a couple of future Hall of Famers and several former Champions in the field. 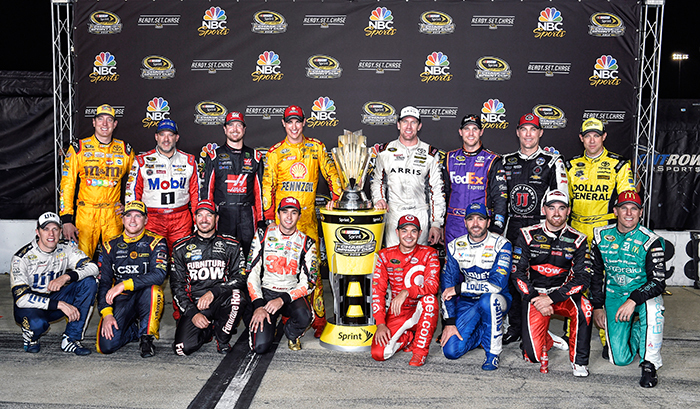 Who's your pick to win the 2016 NASCAR Sprint Cup? Let us know in the comments below! Many of the names you'd expect to be there, are. You've got former champions like Jimmie Johnson, Brad Keselowski, Kurt Busch and Kevin Harvick. The talented quartet of drivers with Joe Gibbs Racing are all in the fray. Smoke will be looking to set the Chase on fire in his final season. Joey Logano, Martin Truex Jr. and Jamie McMurray are also all making return trips to the Chase for the Sprint Cup. 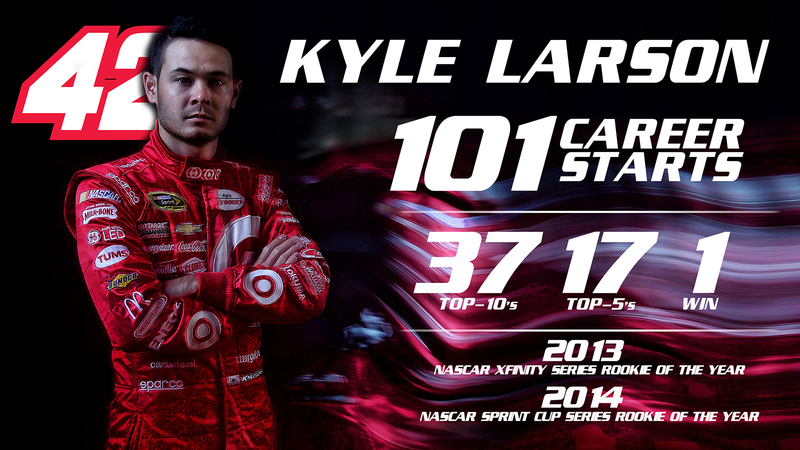 Kyle Larson comes into the Chase on fire. Following up his first career win at Michigan, the No. 42 driver had a third place showing at Bristol before racing his way to second place finish in the regular season finale at Richmond. 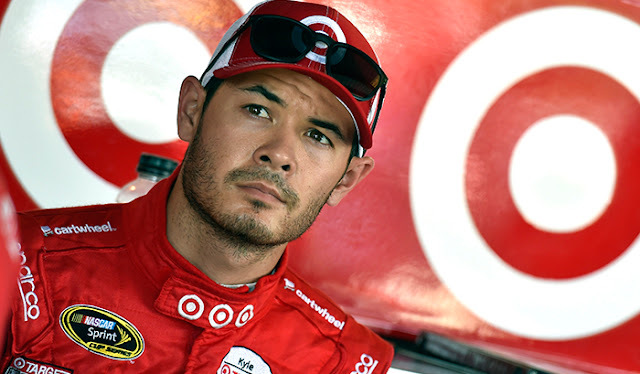 Larson was sitting ninth coming out of the final caution, but weaved his way seven spots through the field in the final laps to a career-best finish at the Action Track. A NASCAR Next graduate, Larson has been on the postseason cusp since his 2014 rookie campaign. So while this might be the first Chase appearance for the California kid, you can bet it won't be his last.